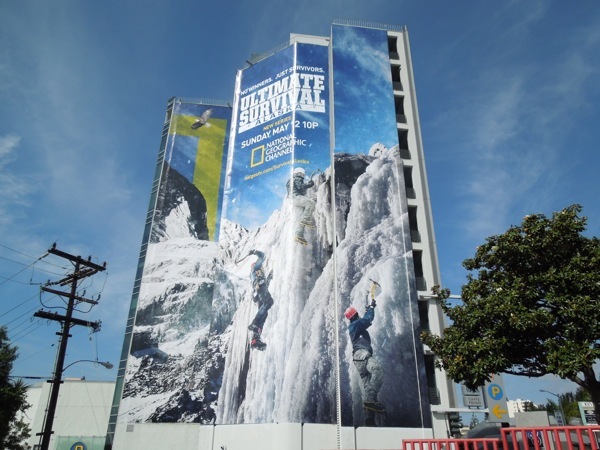 With a show title like Ultimate Survival Alaska you need a pretty arresting visual to live up to the hype and Daily Billboard thinks this giant billboard does the trick. 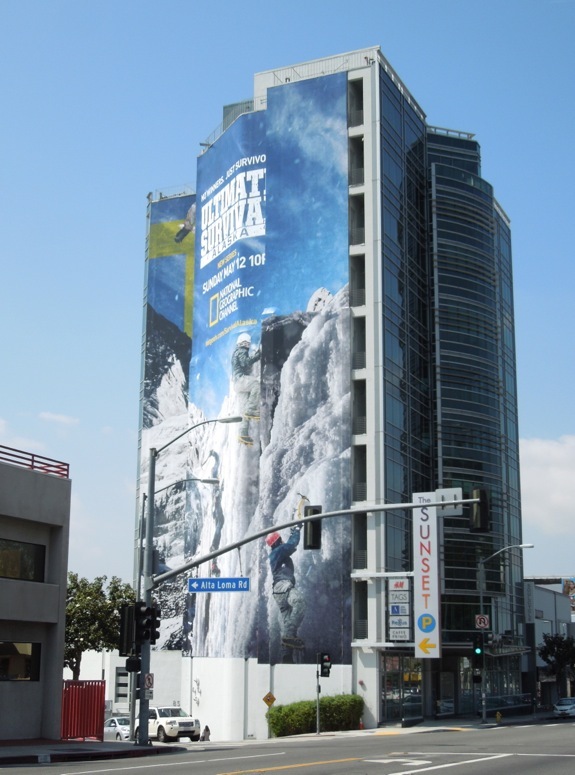 It's not often you see climbers scaling an icy rock face in L.A., so this super-sized building wrap for National Geographic Channel's new series has great standout along the Sunset Strip on May 8, 2013. 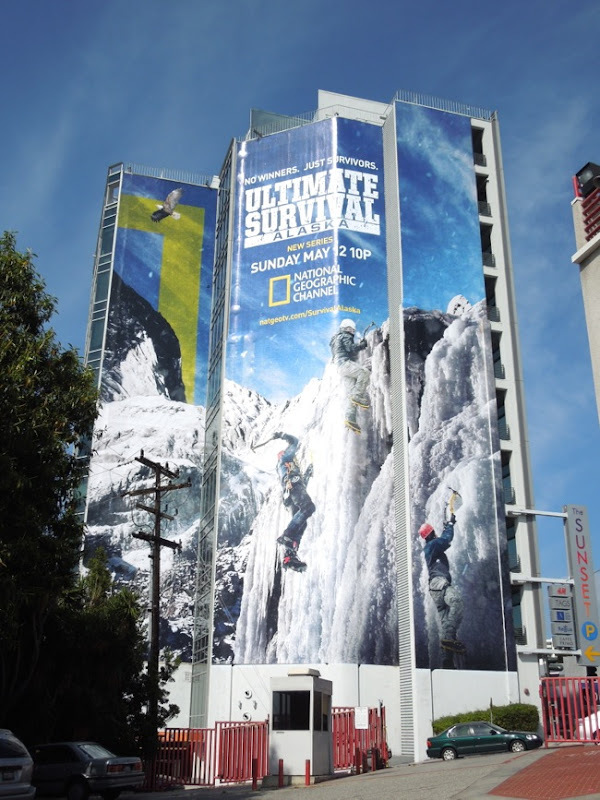 The new show follows eight extreme survivalists dropped into Arctic conditions to face the elements and all that Mother Nature has to throw at them with only their wits and experience to help them stay alive. Sounds like The Hunger Games has nothing on this original series. Billboard is fantastic! 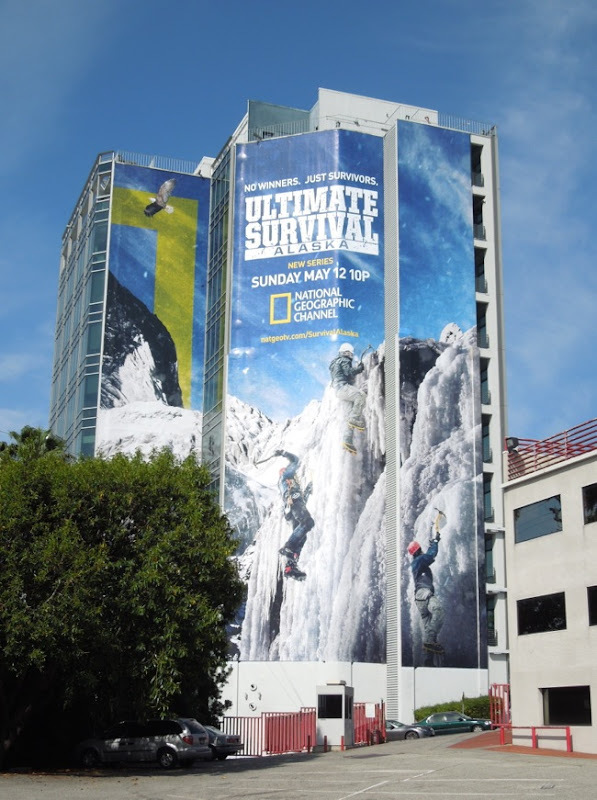 Go Ultimate Survival Alaska! Thanks Nat Geo! !